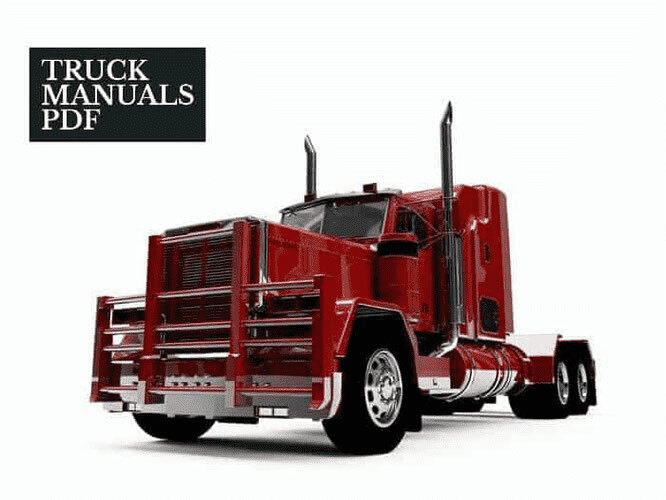 Some TEREX Truck Manuals PDF above the page. Terex History begins in the distant 1930, when the brothers Armington was founded the company. Later, the US Department of Justice filed an antitrust lawsuit against GM and banned the use of Euclid brand, then in 1970, GM for its heavy equipment came up with a new brand - "Terex" from the Latin "terra" (earth - earth) and "rex" (king - king) ie King of the earth, the planet or the world. In times of crisis 80 General Motors sold the Terex company to IBH Holdings, it was in 1981, and already in 1983. 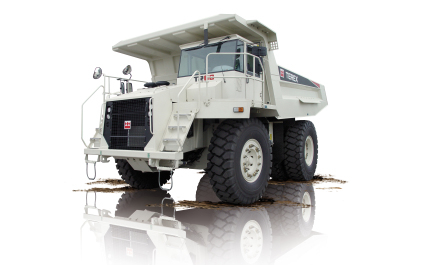 After Bankruptcy IBH Terex returns to the GM. In 1987, the market appears all known today Terex Corporation, which buys Koehring cranes (1987), the year and the acquisition of Unit Rig Fruehauf Trailer (1989) increased the corporation in terms of money three times. In 1988. 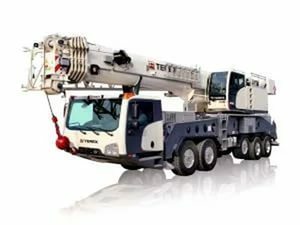 Terex relies on mining and acquires Payhauler and O & K Mining, as well as the crane industry, buying American Crane, TerexLift, Peiner and Gru Comedil. A year later, the company buys the company producing crushing and screening machines Cedarapids, Re-Tech, Powerscreen and Finlay. Since 2000. Terex Corporation is beginning to show interest in the construction machinery and acquires British company Fermec (backhoe loaders), and in 2001, the Corporation entered mills CMI (road construction equipment), Bid-Well, and Atlas. In 2002, the company supplemented by such manufacturers as Demag Mobile Cranes (mobile cranes with telescopic and lattice boom) supplemented the product line Terex Crane, Genie (lifting platforms), German companies construction equipment Schaeff and Fuchs, and Advance Mixer (trucks) and plants equipment manufacturers for laying cables (cable layers) Pacific Utility and EPAC strengthen the company Terex Utilities. In 2003. Terex included in the Czech TATRA (controlling interest), a manufacturer of heavy duty trucks in 2008. Plant manufacturer mini loaders ASV, in 2009. Fantuzzi and Noell (harbor equipment crane slope). In the crisis 2010 Terex Corporation sold its Mining business and company Atlas (Germany), but at the same time more actively exploring the Chinese market by buying 65% of the plant Shandong Topower Heavy Machinery Corporation (cranes with lattice boom) and organizes a joint venture with NFLG (crushing sorting machines). In 2011, Terex Corporation and GAZ Group organized a joint venture «RM Terex» for the production and sale of construction and road equipment (motor graders, loaders, excavators, ATVs) in Russia and abroad, and completed the acquisition of 82% stake in Demag Cranes AG. Globally, Terex Corporation is as follows: Europe - 22%, North America - 26%, Germany - 29%, the BRIC countries - 19%, Asia - 1%, the rest of the world - 3%. Terex trademark used by many plants that have entered into an agreement with the Corporation for the right to use the trademark. These manufacturers label manufactured equipment as a sign of Terex, as well as its own trademark: Advance, American, American Truck Company, Amida, ATC, Bartell, Bendini, Benford, Bid-Well, Canica, Cedarapids, CMI, CMI-Cifali, CMI Johnson -Ross, Comedil, Demag, ELJay, Fermec, Finlay, Franna, Fuchs, Genie, Hi-Ranger, Jaques, Load King, Morrison, O & K.